This week’s blog post was supposed to be about books. I got a little heavy last week, so I thought that I’d lighten things up, go with the curriculum theme of the month, and focus on the books that James looks forward to every night. But, obviously, that isn’t exactly at the top of my mind today. I wasn’t there on Monday; my family wasn’t affected. Not directly at least. But I’m not sure anyone in Boston – or who has ties to Boston, for that matter – can say that they’ve been unaffected. I’ve always loved the fact that Boston, despite its city-status, often feels like a small town. Downtown is navigable and familiar. The rest of the world may not think we’re the friendliest, but we tend to see people we know wherever we go. What that means in a situation like this, of course, is that, if we weren’t there ourselves, then we know someone who was. And, in many cases, it’s not just that we have a friend who went to school with someone whose husband’s college roommate was right there; it’s more that it was our neighbor’s friend. Our friend’s niece. The grad student who works for us. And although most of us are lucky enough to have enough distance to know that life will return to normalcy at some point in the not very distant future, for some of us that isn’t the case. The broken bits and pieces of my heart go out to those for whom it never will be. Our challenge as parents is to try and figure out how to reconcile that understanding with allowing our children to remain as unafraid as possible. For us to remain as unafraid as possible. On Monday afternoon I was getting ready for Lucy’s birthday party, a slumber party with seven 13-(or-soon-to-be)-year-olds. Lucy wasn’t actually home because she’d gone into work with my husband, but 10-year-old Will was, as was his friend from across the street. I was midway through hanging streamers when I got a text from my sister asking if I was o.k. After a few furious texts back and forth, I got onto Facebook, which ended up being my news source for the rest of the day. In a way I was grateful that I had a house full of kids – it kept me from, a) collapsing in tears on a regular basis, and, b) keeping the news on for the remainder of the day and night to catch whatever snippets of actual information I could. From the little I did see, it would have been an exercise in futility given that there was so little anyone could yet say. After a frantic few minutes of trying to get in touch with my husband (just to confirm that he hadn’t on a whim taken Lucy into Boston to see the marathon) and then realizing that cell phone service was down, I posted on Facebook to let our family and friends know we’d been nowhere near downtown, and then spent the next two hours texting and talking to various members of my family to fully reassure. What I didn’t do right away was tell Will because, well, I had no idea what to say despite the advice going around on various sites. I knew his first question would be about his teacher. (Remember his wonderful teacher Ms. Harmon that I talked about last week? As her whole class knew and was eagerly following, she was running that day). To be honest, when I finally got the opportunity to talk to him, I botched it pretty badly. And several days later, even though I know all of the steps I’m supposed to take, I’m still having a hard time figuring out how exactly I should handle this. The good thing is that, for all of Will’s anxieties, this isn’t the kind of thing that scares him. And Lucy seems to have gotten my husband’s lack-of-worry genes. So I sit here reminding myself that, if Lucy asks me if she can go hang out in Harvard Square with her friends for a few hours, rather than say, you-are-never-leaving-the-house-again, my answer needs to be “yes.” And when Will asks me if we can go to the movies, my first response can’t be you-want-to-hang-out-in-a-crowded-movie-theater-during-April-vacation-week???? but instead, “what show do you want to see?” At the same time, last night, when Lucy started to argue with me that it wasn’t energy efficient for her to charge her cell phone every night, you can bet I pulled out the “I’m your mother and I say so; end of discussion” line. We can’t live our lives in fear. That’s not something I want to pass on to my children. What I do want to make sure they understand is that, although bad things happen, there’s good out there, too. Or, actually, maybe that’s something I need to remind myself of. But at the same time, I’m going to force myself to have the hard conversations with my husband and my kids. Who is the person we call if cell phones go down and we can’t reach each other? Where do we meet if, God forbid, something like this happens again and we can’t get to each other? Who picks up James, who picks up Will, and how to we track down Lucy if that’s what it really comes to? Many years ago, Will and I pulled up to my mother-in-law’s house to pick up Lucy after school. Then-5-yr-old Will asked me if he could bring his Hot Wheels cars into the house while we waited for her to get her things together. If you can carry them, I answered, you can bring them. So he gathered ten or so into his arms and carefully walked up the path and into the house, murmuring to himself, Be strong. Be strong. 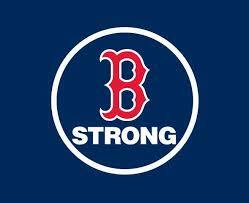 Be strong, Boston. I may be a transplant, but you’re still my home. As we reflect on yesterday’s horrors, we want to send all of our fellow Bostonians love and support during this unimaginable time. I know we are all weighted down with a sense of sadness for our city, and for all of our neighbors who have been personally affected. The Pine Village community has tremendous strength and spirit and we ask you to please send your positive healing vibes to all of those who were tragically touched yesterday, and of course for peace. The PV family is several hundred strong. Many of you came to school this morning wishing to share your stories with us and asked us to share in helping you to protect and support our children through this complicated time. We want you to know that the Pine Village staff is here for you in any way we are able to be. Please talk with us and let’s stick together as we reassure our children that they are safe and loved. More information about helping kids of different ages deal with traumatic experiences can be found at http://www.nctsn.org/trauma-types/terrorismand http://www.psychiatry.org/mental-health/more-topics/coping-with-disasters.